Earlier this summer, Mr Bikes-N-Stuff and I spent a sunny afternoon being photographed for the new Met Helmets 2014 catalogue by Jeremie Reuiller. Every time people visit Teinbridge, I enjoy showing off the area I live in like some sort of proud parent! Funny really, it’s not as if Devon being beautiful has anything to do with me.. I just happened to move here! 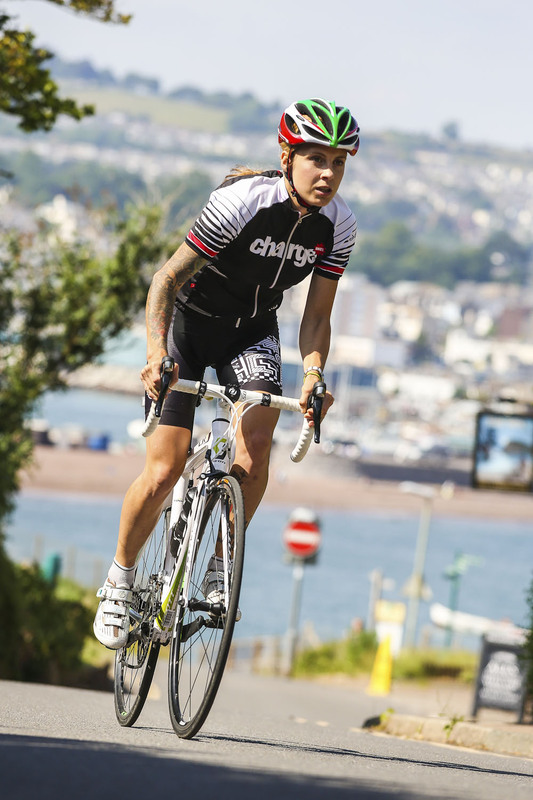 Anyway, we shot some pics on the BMX up at Decoy, heading over to Teigngrace on the cyclocross bike and then headed out to Shaldon on road bikes. I’m actually riding the Scott Contessa CR1 in some of these pics as I was reviewing it for Total Women’s Cycling at the time, and Dave got some snaps on his eye-catching Dodici. .Previously Red Hook Crit 2014 – Game On!